Exablox was cofounded by a video-making, rock-climbing CTO intent on killing RAID. 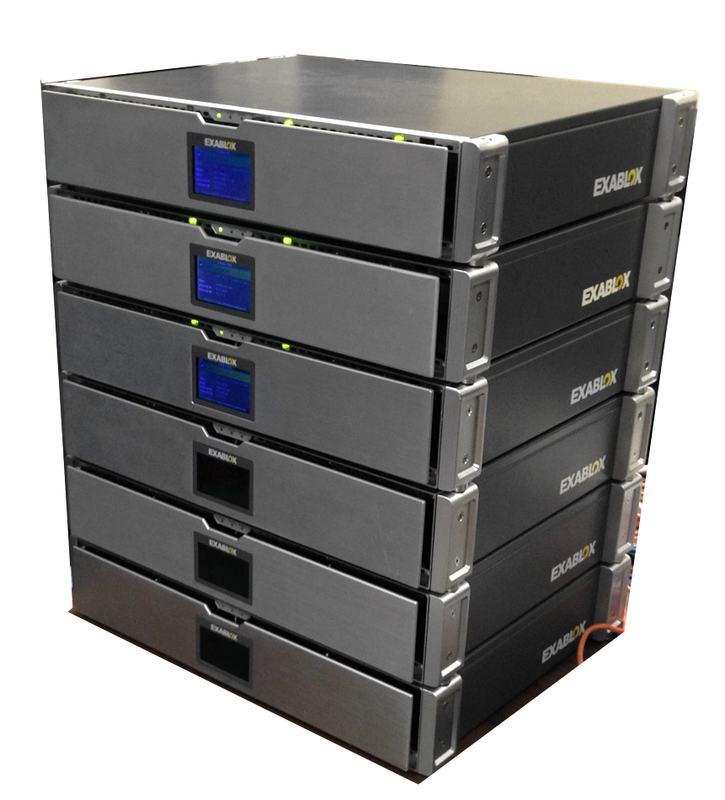 El Reg got a closer look at Exablox by attending a press tour at its HQ last week and looking deeper into its object storage-based filer. Co-founder and CTO Tad Hunt explained that he became frustrated with filer performance while taking time out to go climbing in Utah, making climbing videos at a rate of 10GB/day. This frustration partly prompted him to devise a much easier-to-use scale-out NAS system. One starting decision was that it needed to be cloud scale and that meant RAID couldn’t be used. RAID rebuilds take too long and disk failure likelihood during a rebuild increases with rebuild time. That pointed Exablox towards object technology but with filer access. The system looks like an Isilon cluster on the outside but uses object storage on the inside. 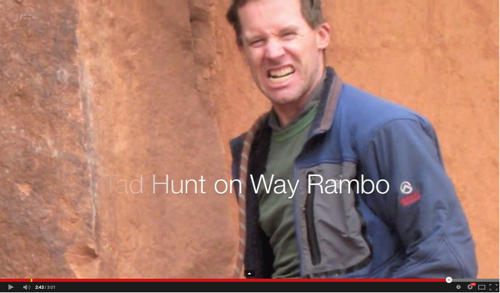 Exablox co-founder Tad Hunt on a climb called Rambo. Click image to run vid. The software they designed provides the tech tricks and relies on commodity X86 hardware, with a twist. The OneBlox filer involves customers buying an empty 8-slot Oneblox node with 4 x 1GbitE ports, at $10K list, and populating it with 3.5-inch disk drives which the Exablox OS turns into a filer resource using an underlying object storage technology. All the management is cloud-based and the system discovers new nodes and adds them into a clustering scheme, the OneBlox Ring, using peer-to-peer technology. Max node capacity today is 48TB raw. Total Ring capacity could be hundreds of nodes. Using 6TB drives and assuming 300 nodes the raw capacity would be 14.4PB. However, this is sold as a mid-size enterprise array and not as a big data storage resource. Customers appear to have less than 10 nodes installed, most a lot less. Files are deduped and usable capacity could be double the raw number, say 96TB per node, or even more if the data is has more redundancy. like VDO files or is a backup target. Exablox is a certified Veeam backup target, ditto Unitrends, Backup Exec and others. The system can do continuous data protection snapshots and take automatic snapshots. It can also replicate between nodes. Three nodes are needed for hi-availability. Software updates are non-disruptive in a cluster of that size and larger. Object loss rebuilds are faster as the cluster (Ring) node-count grows. That’s a grand total of $22m with the last round two years ago. It doesn’t look much at all by today's standards, and we’re certainly looking at an early stage company. We think another round is likely to come next year to blow the company well past 100 customers and its current 50 employees. Stack of Oneblox nodes. Rackmount “ears” are added for rack mounting. The company, founded in 2010, has around 70-75 customers with a total of 3PB deployed storage. SMART-based telemetry from a customer’s installed drives comes into Exablox once an hour so it knows what customers have installed and can track performance. Santa Clara University is a customer, being a Novell shop using eDirectory. It was backing up – slowly – to a Spectra Logic tape system. Three years ago it went quote hunting for disk-based backup to DataDomain, Exagrid and a FalconStor gateway, receiving quotes in the $150,000 area; way too much. It sat on this for two years and then heard about Exablox. The price suited it and it’s now back up with Unitrends to a OneBlox system, with the Spectra Logic kit relegated to archiving. They experience backup speed of about 100MB/sec, with rehydration about 80 - 90 per cent of that. Altogether El Reg sees an early-stage filer array replacement company with a great pitch for SMBs and a product that is proving itself for customers. A demo showed it was very easy to use and the scalability looks simple and straightforward, both adding disks to nodes and nodes to a Ring. Few, if any, other startups are focussing capacity-based filer replacement at such customers and we don’t see any outside forces that could stop Exablox growing like topsy given sufficient resources. Today Exablox uses 3.5-inch drives. We might see a future box with 2.5-inch slots populated with disks and SSDs. Today it’s not a performance box but a capacity one. Maybe we could see a tiered box with pinning of files in flash for high-performance access. There would need to be 10GbitE port support though. We understand closer Veeam integration will happen in 2015. Senior director for products Sean Derrington said: “We will be directly exposing the object layer to Veeam (and maybe others) and so bypass the file system,” and so run backups faster. Active Directory integration could be another roadmap item.